The village of Ashley lies five miles west of Winchester. 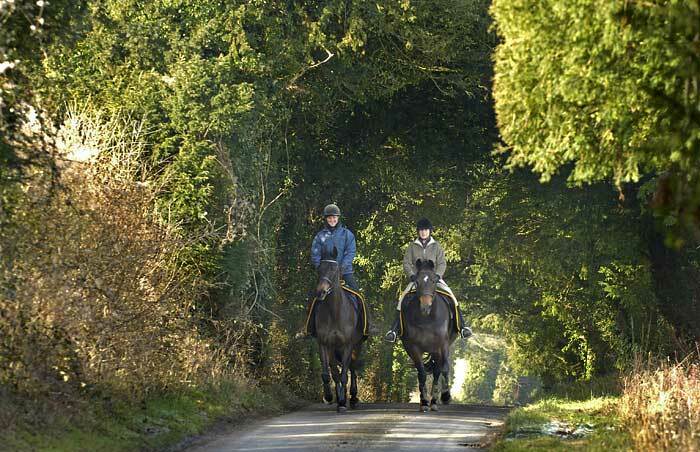 Surrounded by large fields typical of the rolling chalk uplands of Hampshire, the small village covers about 2000 acres with a population of less than fourty. 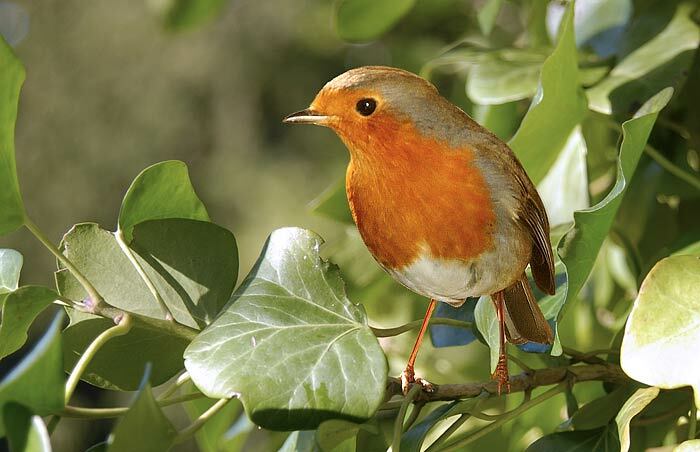 A Robin enjoying the early spring sun. 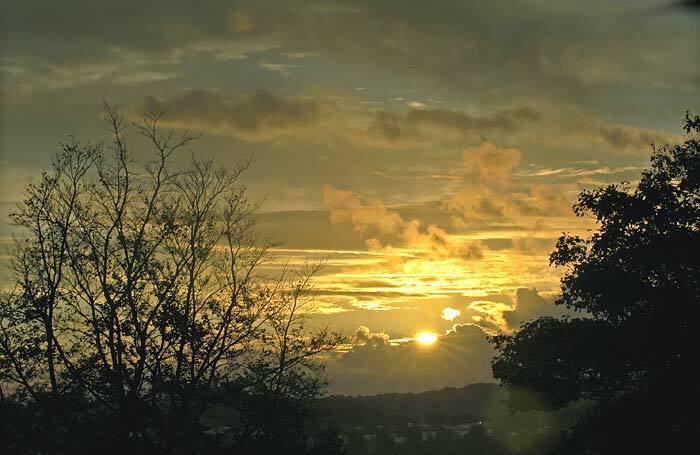 The village of Longparish runs for about three miles along the upper Test Valley, and comprises the settlements of Forton at the southern end, Middleton and West and East Aston. 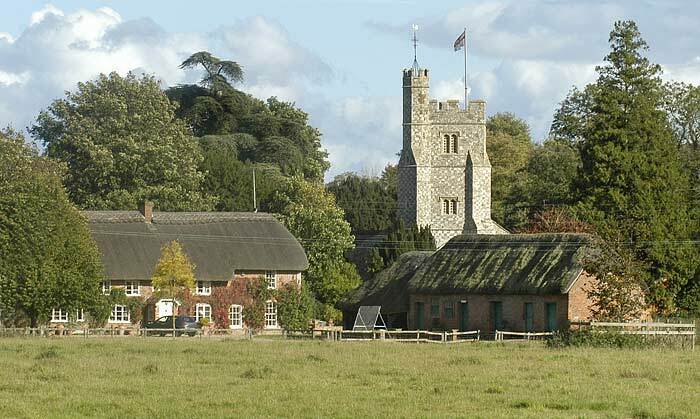 The parish church of St. Nicholas with its flint and stone tower enjoys a beautiful position in the heart of the old settlement of Middleton. The church dates from the early 13th century although little if anything from that period remains, the tower was added in the 15th century. 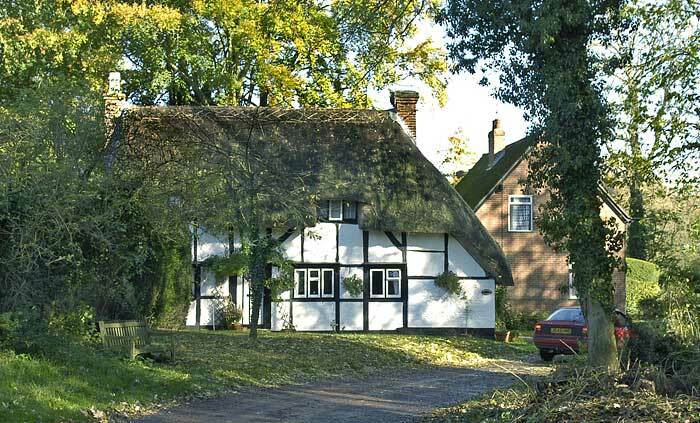 One of the picturesque cottages in the Forton area of Longparish. 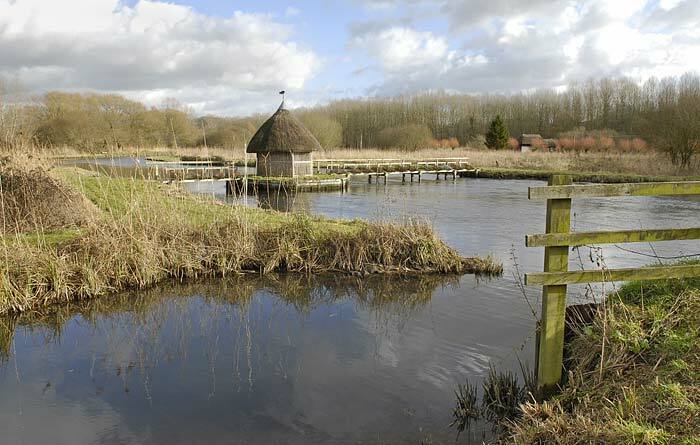 Longstock - The River Test, has a reputation of being one of Hampshire's best fly-fishing rivers. Who's fooling who? 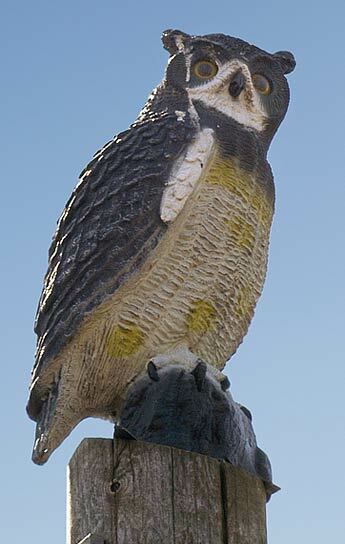 Attached to the top of a telegraph pole a large model owl. I'm told they're used to ward off other birds of prey and often used by racing pigeon owners. 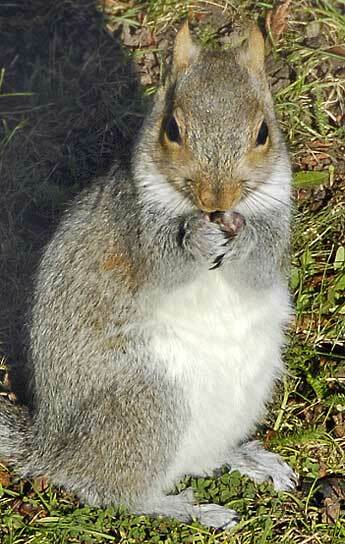 Lunch alfresco, a squirrel enjoying a meal after raiding its larder of nuts. Common Hazel. 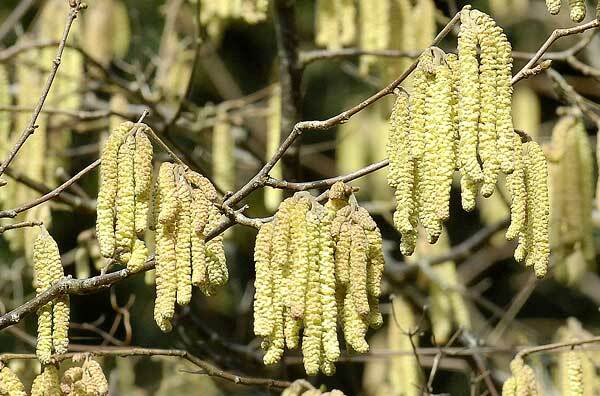 The male flowers hang in "lambstail" catkins; while the female flower appears as tiny buds with red tassels. 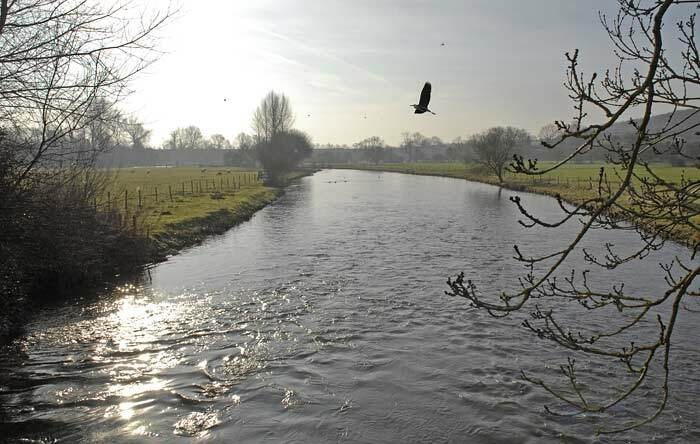 A heron takes flight over the River Itchen on the southern outskirts of Winchester. 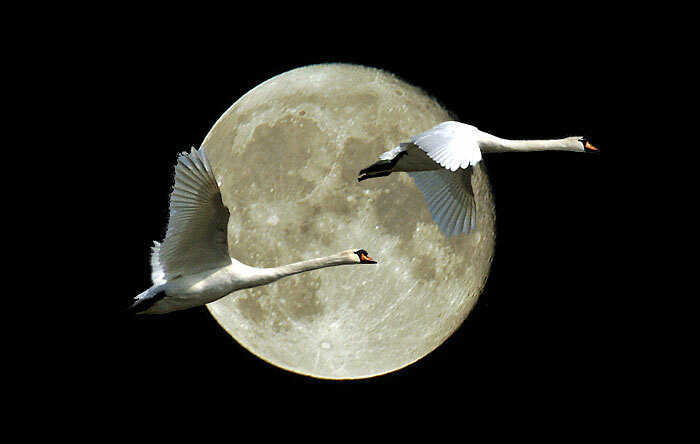 Swanning about - Mute swans passing the winter moon. I layered three images together to produce the above image.